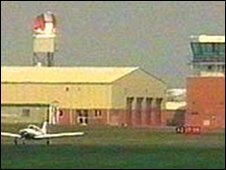 A Midlands-based entrepreneur says his company is in exclusive talks to take over Coventry Airport. The Patriot Aviation group, owned by Sir Peter Rigby. is negotiating with the city council after another company, ADP, pulled out of a joint proposal. Now Sir Peter is planning to complete the deal without them by next month. The airport at Baginton shut at the beginning of December. Passenger flights stopped in 2008, but it had continued handling freight. In a statement, Sir Peter, 66, said: "I see Coventry airport as a best kept secret, it has the potential to be a general aviation hub, handling cargo and serving helicopters, light aircraft and business jets." Councillor Ken Taylor, leader of Coventry City Council, confirmed that talks were taking place with Patriot Aviation and it was hoped the deal will be complete by mid-March. The Sunday Times Rich List estimates Sir Peter to be worth £510m, based on his corporate investments - the 127th richest person in Britain. The Birmingham Post rich list, specifically for residents of the West Midlands, ranked him at number eight for 2006. Patriot Aviation recently acquired London Helicopter Centres Ltd, the specialist helicopter charter and engineering company with headquarters in Redhill, Surrey, and Enniskillen in Northern Ireland.